A file photo of a man grilling near Lake Merritt. 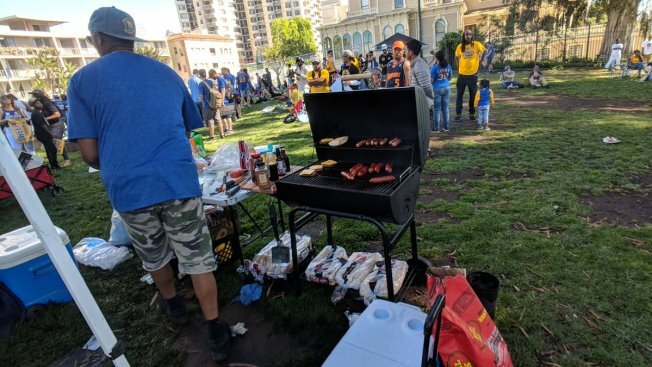 A second "Celebrating Diversity/BBQing While Black" event is slated for Oakland's Lake Merritt on Sunday in response to a May incident in which police were called on African Americans barbecuing at the lake. The event begins at 11 a.m., with music, food and speakers at Lake Merritt. It will take place at the Cleveland Cascade, a large ornamental stairway in the 2200 block of Lakeshore Avenue. The first event was held May 20 and was attended by a large crowd. "It's a celebration. We are not going to fight hate with hate. We are inviting the general public," said Jhamel Robinson, who organized the event with Logan Cortez. "The event is for blacks and our allies. It's an opportunity for people of all ages and races to come together as a community," Robinson said. DJ Twelvz, and DJ Gas Ken as well as the Bay Life DJs will be spinning at the event, Robinson said. Those who wish to attend are encouraged to bring prepared food or a propane or charcoal grill, Robinson said. 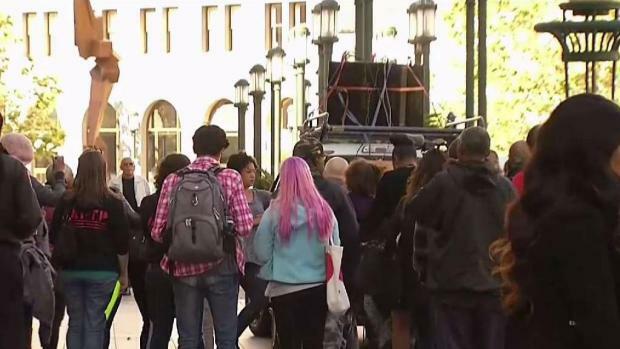 The event is one of many responses to an April 29 incident when police were called to respond to African Americans having a barbecue by Lake Merritt. A video of the woman who made the call went viral. The call to police was in reference to certain restrictions at the time regarding the type of fuel to be used.